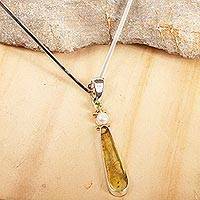 Wishes, pearl and amber choker, worn with the matching earrings and the right outfit make a beautiful elegant statement. 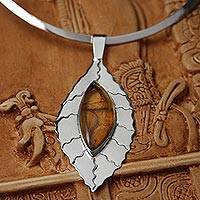 The light color amber may appear not to look good when in the hand, but when the choker is around the neck it takes on a golden glow which is extremely attractive. 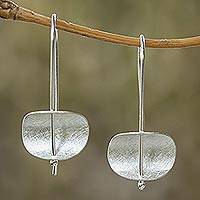 The artist do exactly what he was doing when he designed the Wishes choker and matching earrings. 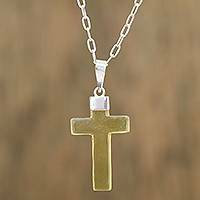 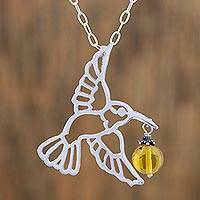 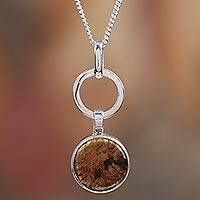 A bright necklace with a big and beautiful silver and amber charm that captures the light perfectly. 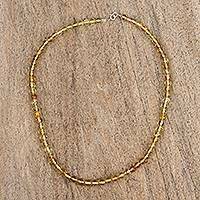 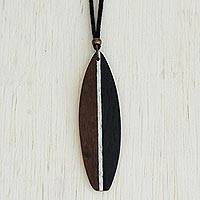 My wife loved this choker style necklace. 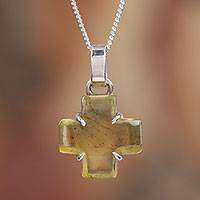 Round Amber Pendant Necklace from Mexico, "Contemporary Flair"
Handcrafted Amber Beaded Necklace from Mexico, "Gleaming Sun"
Handcrafted Amber and Sterling Silver Cross Pendant Necklace, "Translucent Transcendence"